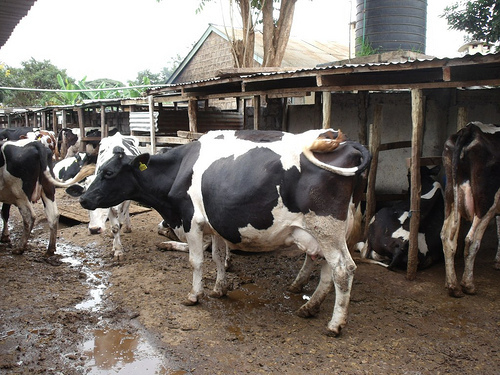 Home BUSINESS Kiambu to spend over a billion shillings on dairy farming by 2022. Kiambu to spend over a billion shillings on dairy farming by 2022. Kiambu County Government plans to spend Sh1.5 billion in the next three years to revitalise its dairy sector in a bid to raise the county's gross earnings of the sector from the current Sh16 billion to at least Sh25 billion. Governor Ferdinand Waititu says that his government intends to use Sh. 200 million to subsidise Artificial Insemination services and a further Sh. 300 million to establish low-cost animal feed plants as well as provision of milk coolers at ward level. “We want also to spare some cash for our youth to venture into dairy start-ups. Our model of implementation will be a public-private partnership where projects will be co-owned by the beneficiary communities and the county government,” he said. Waititu acknowledged that animal feeds were a critical to livestock business since they contributed to as high as 80% of profit performance.